← Celebrate National Library Week-April 14-18th! 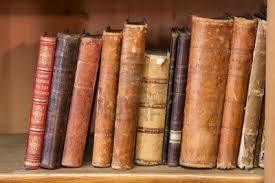 Thanks to all of those that participated in our contests for National Library Week. 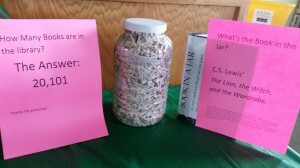 What was the book in the jar?-The Lion, the Witch, and the Wardrobe by C.S. Lewis. 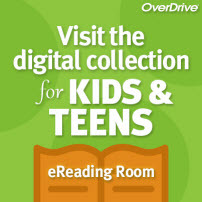 How many books are in the library? We had several great guesses but the total is 20, 101!